Whenever I go thrift shopping I always check the purse section to see if there are any of those awesomely retro raffia embroidered bags. You know the ones, they're usually made with a natural woven fiber, big enough to carry to the beach or farmer's market, and the embroidered designs were either simple or totally over the top. 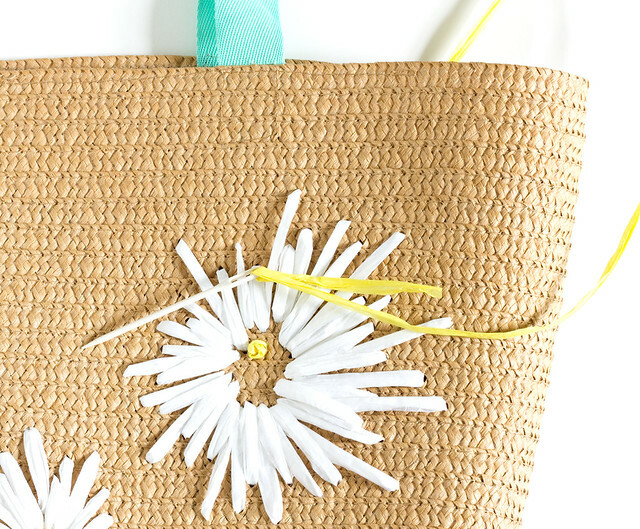 I spotted these plain straw tote bags in the Target Dollar Spot (only $3 each!) 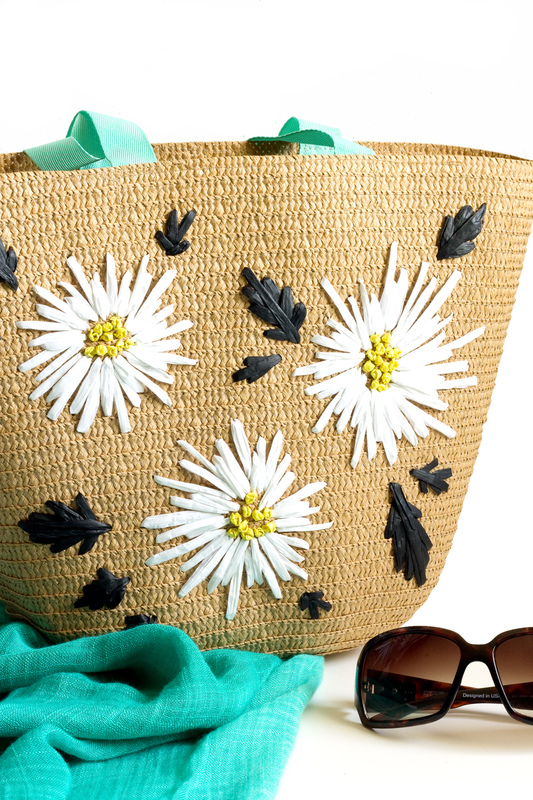 and knew immediately that I wanted to recreate the retro floral vibe that you see on those vintage straw bags. 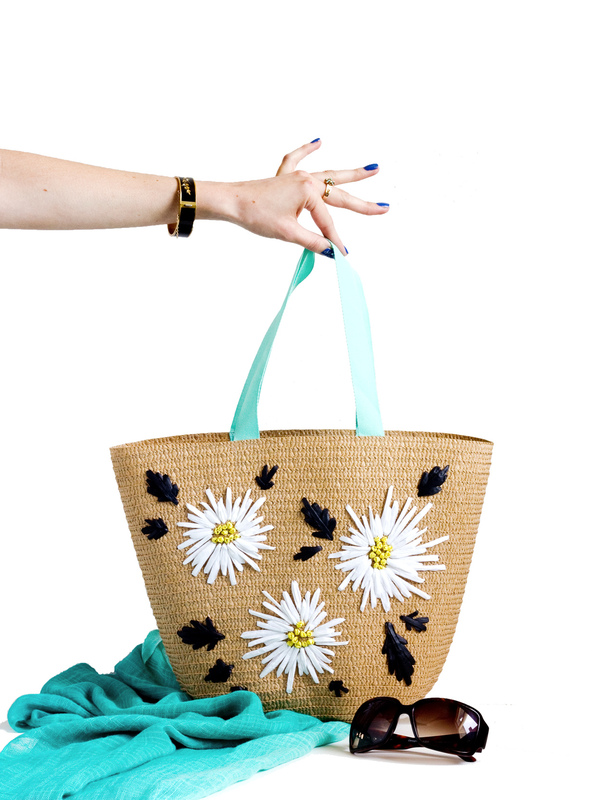 Good news: it's easy and you don't have be an embroidery whiz to recreate the look! 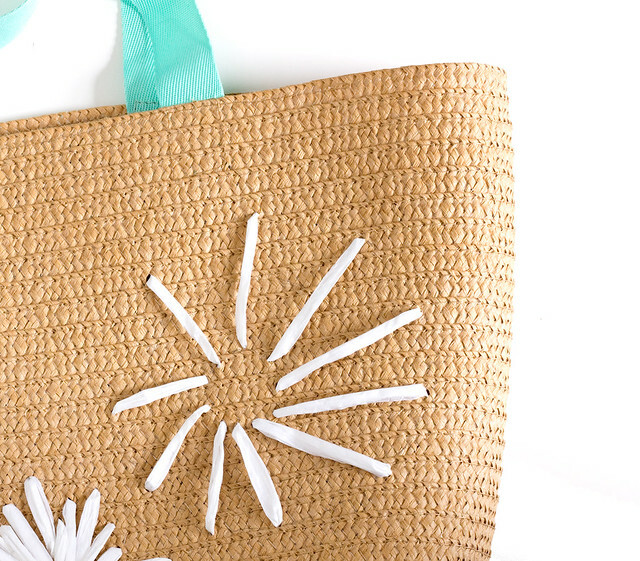 Plain straw tote bag. 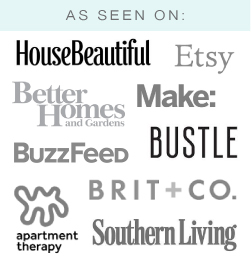 I got mine at Target, but Amazon also has a few similar styles. 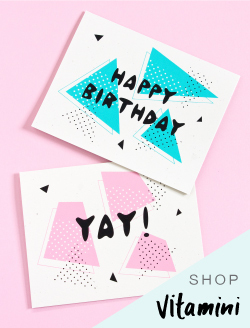 This one is adorable! Note: if the bag is lined you'll have to open it up to get to the inside of the bag. 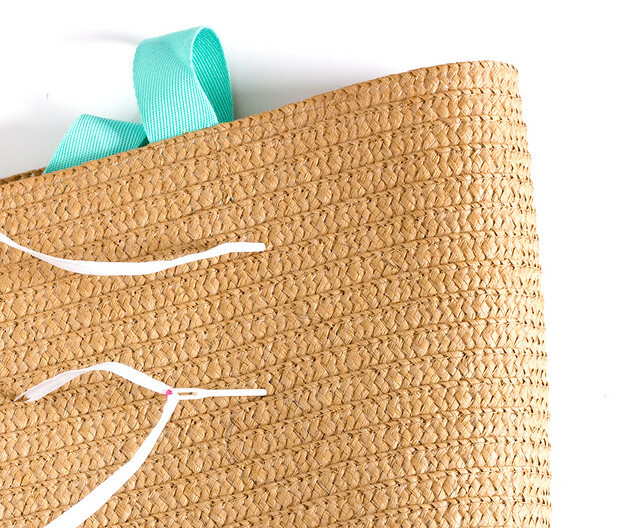 Cut a length of the raffia and tie a knot at one end. 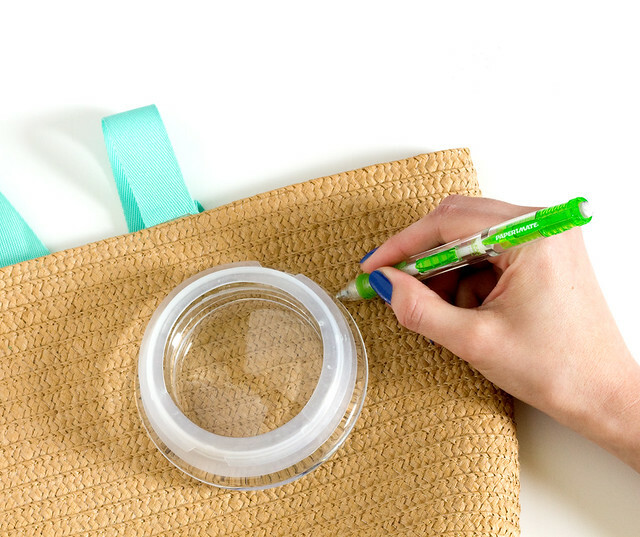 Thread the needle and start by stitching simple, large stitches that go from the center circle to the outer circle, with space in between each. Fill in between each stitch with slightly shorter stitches, and repeat again with shorter stitches, filling in all of the gaps. It doesn't have to be perfect! I found that a more relaxed arrangement of stitches actually looked more natural than perfectly exact ones. Don't pull the raffia too tight. The goal is for the stitches and the bag to lie flat. 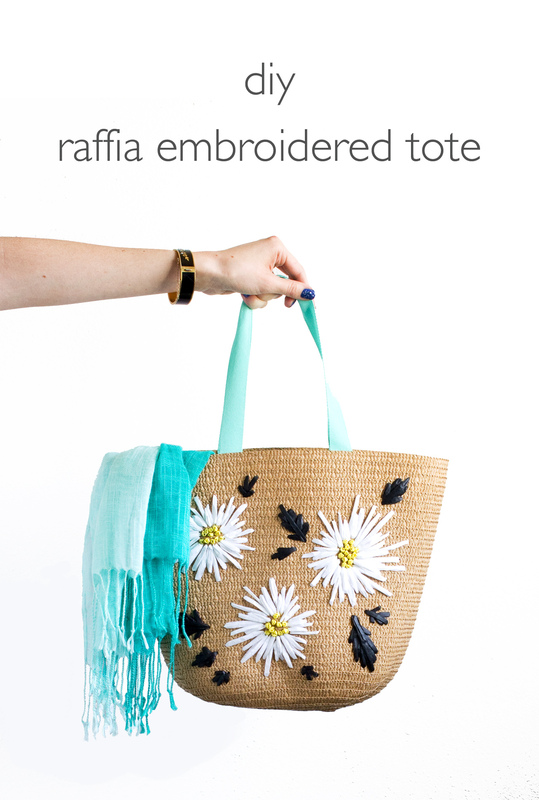 Untwist the raffia as you go. 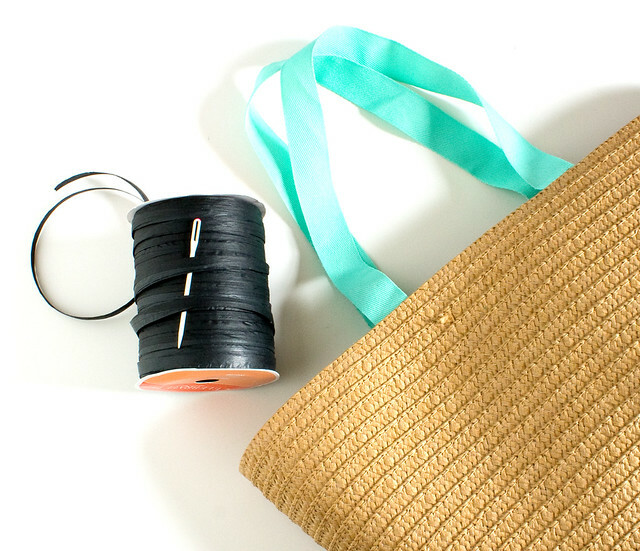 Finish each length of raffia with a knot inside the bag, as close as possible to the bag. 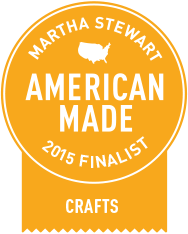 Make sure to pull the raffia all the way through when you're stitching. 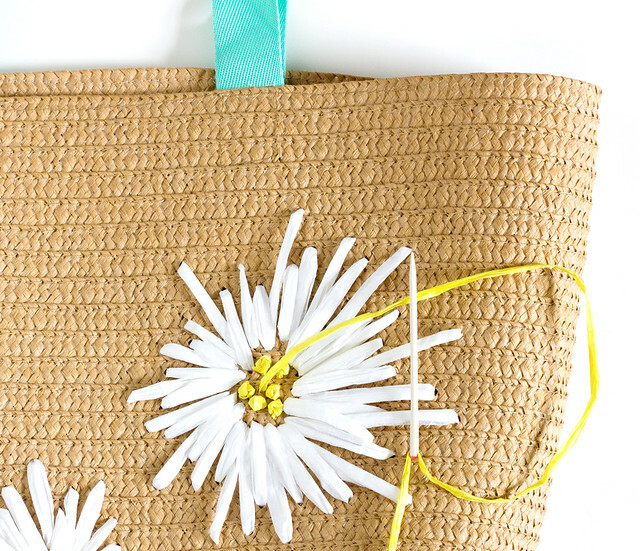 Add some french knots to the center of each flower. 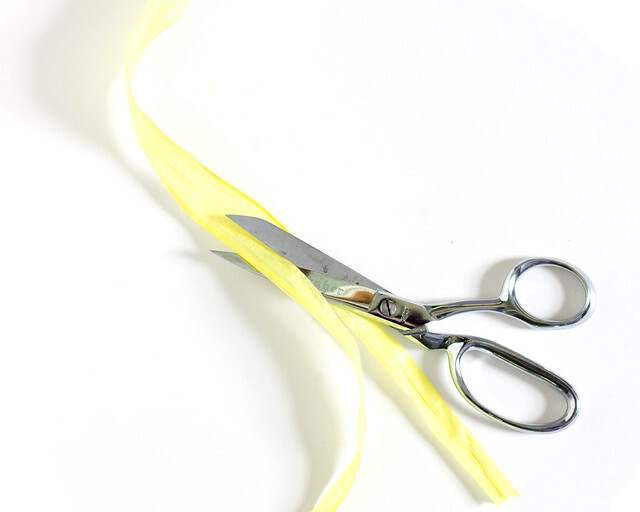 Cut a length of yellow raffia and unfold it. Cut in in half along the length and refold. Tie a knot on one end and thread onto the needle. 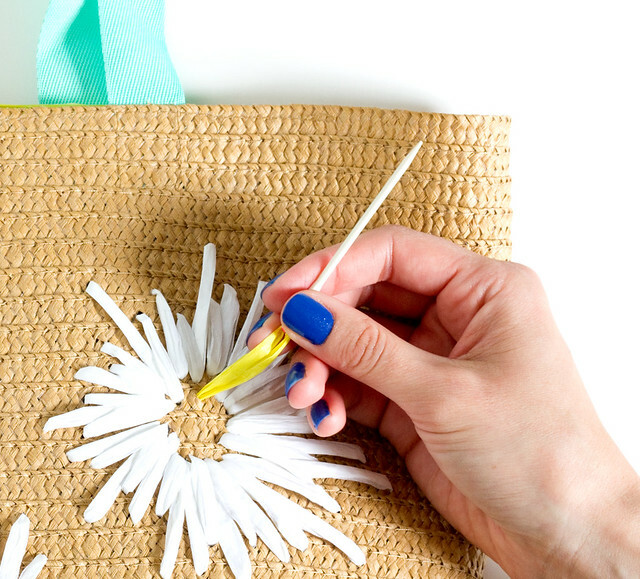 Come up in the center of a flower, twist the raffia twice around the needle, and push the needle down into the bag, just next to where the needle came up. Pull tight. If you need a little extra help this french knot tutorial has a great explanation. Fill in the center with a bunch of french knots! 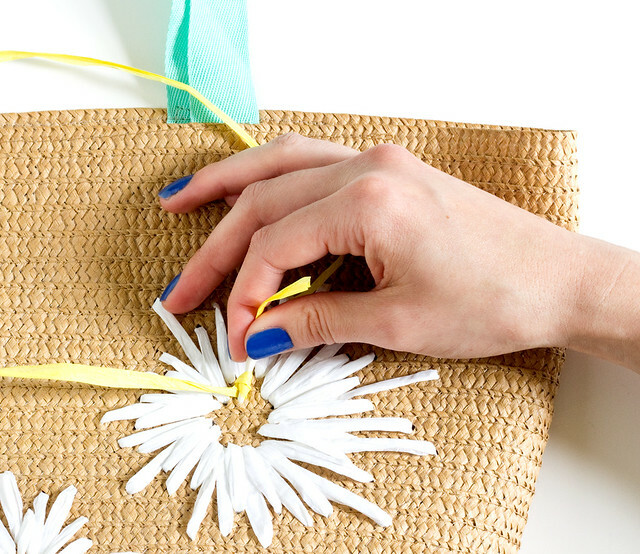 Stitch some leaves around the bag in varying sizes. I stitched simple V-shapes and then added a long stitch through the center. That's it! Can you believe how easy that was? I'm so excited to take my new, retro bag out and about. 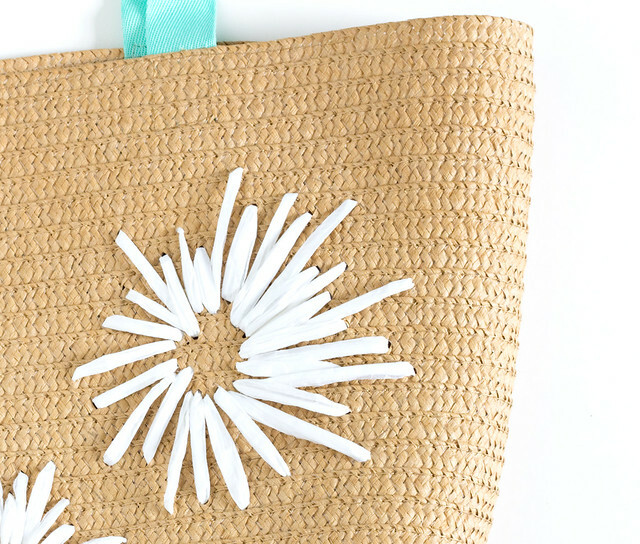 Keep an eye out for those simple straw bags that are just asking for a vintage-inspired makeover so you can try this technique out yourself! 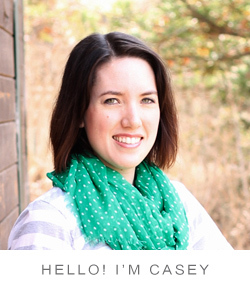 Casey, I adore everything about this! That's such a fun upgrade! Looks easy enough too. Pinning! Your article is really interesting and mind boggling. 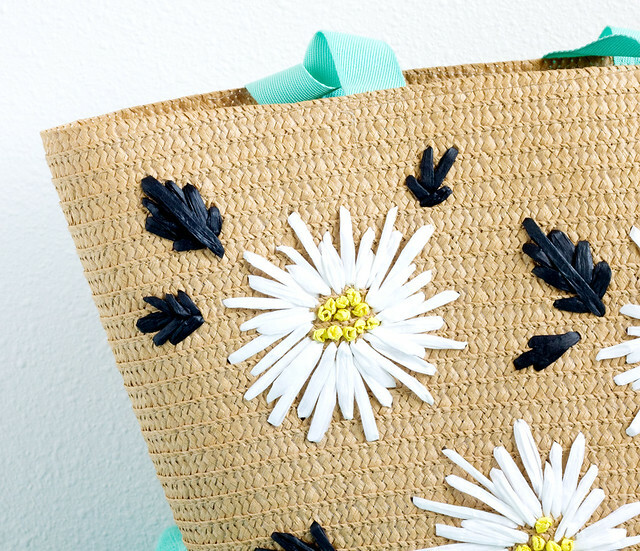 What a cute idea to refresh the old tote.